Dallas, Texas, March 3, 2008 – Global DataGuard, the premier provider of Enterprise Unified Threat Management (UTM) solutions for small and medium businesses to large enterprises has announced an OEM partnership with Commtouch® (NASDAQ: CTCH) to fully integrate the company’s email defense software within Global DataGuard’s All-n-One Security Module™ (ASM) for Enterprise Unified Threat Management. Part of the company’s revolutionary family of Enterprise UTM products, the ASM solution delivers comprehensive and fully integrated “no gaps” security for small-to-medium business and small-to-medium enterprise environments, including firewall, antivirus, anti-spam, VPN, web content filter, IP reputation, and intrusion prevention systems, as well as network behavioral analysis, vulnerability management, threat management, and network access management and monitoring. With unsolicited email, on average, comprising over 85% of all email messages, businesses today face bloated IT costs and rapid deterioration in the quality of service for valid traffic. This trend will continue to worsen as hundreds of thousands of zombie PCs become newly activated every day. As a holistic, centrally managed unit that can be offered with managed services or as a native implementation, the All-n-One Security Module for Enterprise UTM provides customers in the SMB/SME market with superior performance, operational ease-of-use and up to a 70% reduction in total cost of ownership over stand-alone security products. Zero-Hour™ Virus Outbreak Protection that proactively identifies virus outbreaks as soon as they emerge, providing proactive virus blocking that is effective and signature independent. RPD™ Enabled Anti-Spam that utilizes Recurrent Pattern Detection technology to detect and block spam automatically in the first few minutes of an outbreak. With superior accuracy, this content-agnostic anti-spam solution remains consistently effective in the face of repeated and evolving spammer attempts. GlobalView™ Mail Reputation Service that fights spam and email-borne malware at the perimeter, reducing up to 90% of incoming messages at the entry-point – before these messages enter the network. This feature optimizes traffic flow for legitimate sources, increases organizational security, improves first and second-tier detection rates and eliminates false positives. The ability to maximize IT security staffing with 24/7 Security Risk Management (SRM) Managed Security Services™, as well as the option to purchase the ASM solution as a native implementation. Global DataGuard’s ability to use detected threats and alerts with detected vulnerabilities is a key technology advantage within the security marketplace. It enables the company’s Enterprise UTM products to continuously predict, adapt and respond to changing network threats, thereby providing substantially better service and far greater protection at a lower cost-of-ownership than traditional UTM solutions or stand-alone signature-based products. Further, Global DataGuard’s Enterprise UTM++ security suite and All-n-One Security Module can help organizations achieve full compliance with PCI, NERC CIP, HIPAA and SOX standards. From auditing to technology, process and policy, Global DataGuard takes a holistic approach to ensuring that customers can efficiently and cost-effectively achieve and maintain ongoing regulatory compliance within each unique vertical market. Commtouch Software Ltd. (NASDAQ: CTCH) is dedicated to protecting and preserving the integrity of the world’s most important communications tool – e-mail. Commtouch has over 17 years of experience developing messaging software and is a global developer and provider of proprietary anti-spam, Zero-Hour virus protection and Reputation Service solutions. 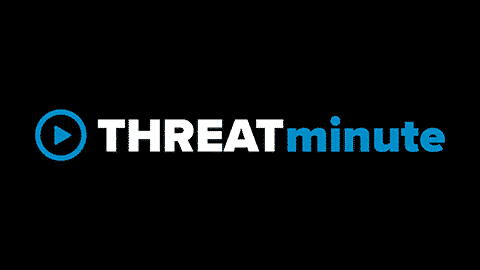 Using core technologies including RPD (Recurrent Pattern Detection™), the Commtouch Detection Center analyzes billions of email messages per week to identify new spam and malware outbreaks within minutes of their introduction into the Internet. Integrated by scores of OEM partners, Commtouch technology protects thousands of organizations, with hundreds of millions of users in over 100 countries. Commtouch is headquartered in Netanya, Israel, and has a subsidiary in Sunnyvale, Calif. For more information, see: http://www.Commtouch.com. The site includes the Commtouch online lab detailing spam statistics and charts.